The European Commission published important information on the GDPR at the end of January 2018. It has published a guideline on the direct applicability of the GDPR from 25 May 2018 onwards and compiled information for companies and citizens. There is also an infographic about what a company has to do. From May 25, 2018, a new era in data protection is dawning. From then on, the basic European data protection regulation will apply. This applies not only to companies in Liechtenstein, but also in Switzerland if they trade in the EU. This will very often be the case in the Rhine Valley, a border region with the EU, whether in the manufacturing industry (supply of goods) or, for example, in the financial services or other sectors. The EU is recognized as an important target market in Liechtenstein and Switzerland. Just think of the huge market in Germany. It is therefore to be expected that customers and others will increasingly refer to the Basic Data Protection Ordinance (DSGVO). A new enforcement mechanism has been created to enforce the strengthened rights of data subjects and the increasing obligations of companies, which will apply in the cross-border area. Compared to today, this mechanism has been „Europeanized“, i.e. in case of doubt it is decided in Brussels whether a data protection violation exists in a cross-border case in Liechtenstein or in Switzerland. This is completely new. There is the threat of horrendous fines. Data protection is generally understood only in such a way that already existing data is protected. This is a misbelief. The new DSGVO has 99 provisions. This number alone suggests that data protection is much more important than the issue of internal data protection. The DSGVO brings with it many innovations. Examples include the new principles of mandatory data minimization, data protection by design and by default, the new deletion obligations, the new right to data transferability and the obligation to report data breaches („data breach notification“). In addition, for example, the principles must be documented („accountability“), legal bases must be defined conclusively, consents must be available and contracts must be concluded with contract processors in the case of outsourcing. These are just a few examples of the numerous regulations. At the moment there are still a lot of legal questions that have to be clarified before implementation in a company can begin. The law firm Batliner Wanger Batliner Rechtsanwälte AG specializes in this field of activity, closely observes the corresponding legal developments and is also a partner of the University of Liechtenstein at the event on innovations of the DSGVO on February 20, 2018. The contact person for questions on the DSGVO or for general questions on data protection is Philipp Mittelberger, who also recently published a study on whether and to what extent Swiss companies are affected. Together with the University of Liechtenstein, BATLINER WANGER BATLINER Rechtsanwälte AG organises a lecture event entitled „Implementation of the GDPR in Liechtenstein“. The event will take place in the afternoon of February 20 2018 at the University of Vaduz. Data protection, which has been an important subject, at least in theory, is gaining in importance. The Basic Data Protection Ordinance (DSGVO) will replace the previously valid Data Protection Directive 1995/46/EG, which was implemented in Liechtenstein in the Data Protection Act (DSG), as of May 25, 2018. The DSG is considered harmless and therefore received little attention in practice. Further details can be found in the following PDF file. Dr Philipp Mittelberger will be joining BATLINER WANGER BATLINER Attorneys at Law Ltd. on 01.12.2017. Dr Philipp Mittelberger worked for the past 15 years as Liechtenstein’s Data Protection Officer. Prior to that, he was involved in cases before the European Court of Human Rights. He provides advice on all aspects of data protection law (in particular the General Data Protection Regulation), IT law as well as personal privacy in general. The appointment of Dr Philipp Mittelberger is significantly reinforcing and expanding our expertise and capacities in the data protection field. As of October 1st 2017 Monika Büchel joins BATLINER WANGER BATLINER Attorneys at Law Ltd. as attorney. Monika Büchel previously has served as Judge of the Princely Court of Justice in the field of Criminal law and legal assistance in criminal matters. Monika Büchel’s main practice areas cover the full range of white collar crimes, the area of legal assistance in criminal matters as well as the administrative law. 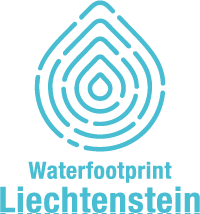 In its meeting of 3 July 2017, the Government appointed the new foundation council of the Liechtenstein Development Service (LED) for the term of office from 2017 until July 2021. The new chairman of the foundation council is Christian Batliner, a partner in our law firm. For further information about the fields of activity of the Liechtenstein Development Service (LED) see www.led.li. 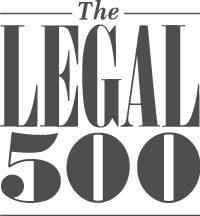 As one of two Liechtenstein law firms, BATLINER WANGER BATLINER Attorney at Law Ltd. has been ranked as a top tier law firm by Chambers Europe both in the field of Corporate Commercial (https://www.chambersandpartners.com/133/242/editorial/7/1) and in the field of Dispute Resolution (https://www.chambersandpartners.com/133/467/editorial/7/1).